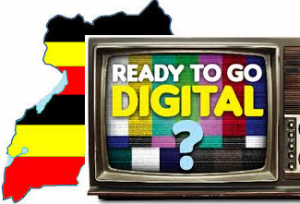 With the June 2015 international deadline for TV migration only a year away, Uganda’s digital TV migration process is still very much a messy affair. Very few Ugandans know that in a few months, they could find themselves not able to watch their favorite TV programs. The pilot testing phase in the greater Kampala area continues to be an on and off affair. Not all TV stations currently broadcasting in analogue format are on board the digital train. For example, only the following are currently being transmitted via DVB-Terrestrial. For all channels broadcasting, the reception has somewhat degraded when compared to last year. The audio and video quality is also generally poor. For a complete status, please check out the Digital TV in Uganda Status page. As for consumer awareness, there are very few Ugandans who are aware of the migration process. Uganda Communications Commission(UCC) (UCC), the body in charge of steering the digital TV migration, has in the past few months been running Ads on local TV, but it looks like even those Ads, have not had a change in the awareness and preparedness of the masses. Compounding the problem is the lack of Analogue-to-Digital TV converter boxes (or decoders) on the market. As of today, the only providers of these boxes have been the pay TV providers such as Star Times and Go TV. Yet, these providers require you to subscribe to their services on a monthly basis. It seems the providers, have ignored the call by UCC, that they de-scramble the Free-to-Air channels on their boxes. This effectively means that for the ordinary Ugandan, moving to digital TV today means subscribing to a pay TV provider. It is hoped that in a few months, the decoders will be available on the market. This after five firms were approved to import and sell these devices. My advice to early migrants, is that while not available locally, take a look at hardware known to work on the Digital TV Uganda site. We’ll continue to update the list as more people come on board.